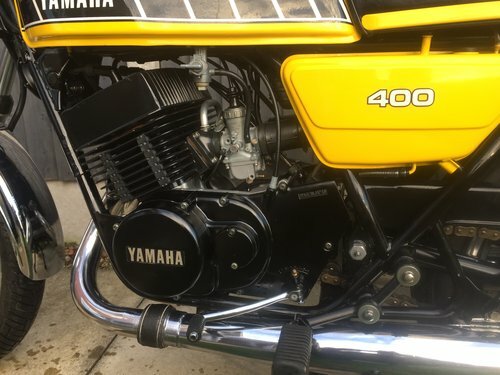 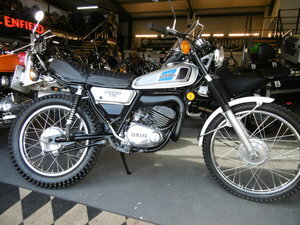 This is my UK matching numbers Yamaha RD400 that I bought as a project 20 years ago, it took approximately 4 years to get it all complete and mint and then I started to use and show it . 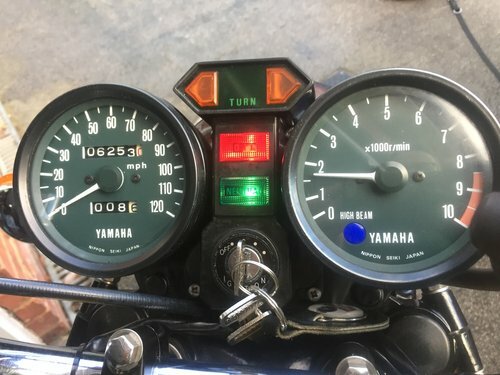 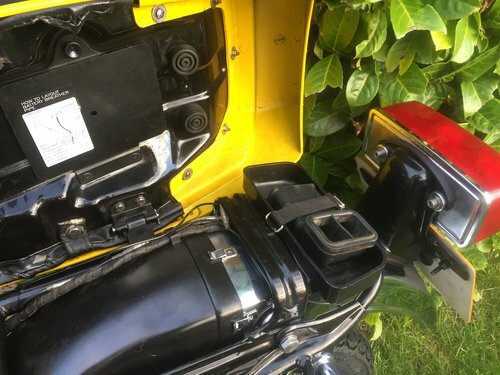 It's a very late registered bike and is on a A plate registered in Aug 1983, it must have been sat in a shop while everybody was buying LC's and powervalves, the bike had 6,000 miles showing on the speedo when I bought it. 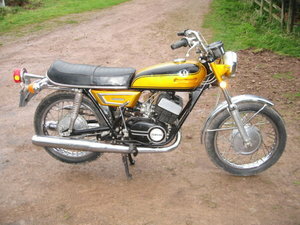 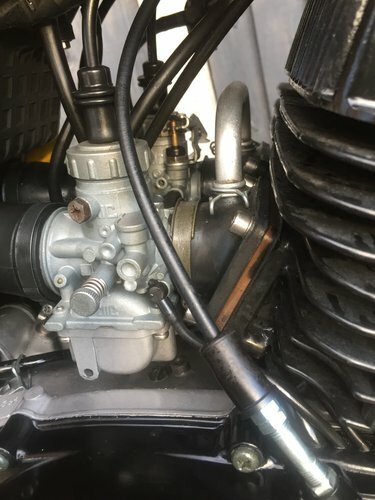 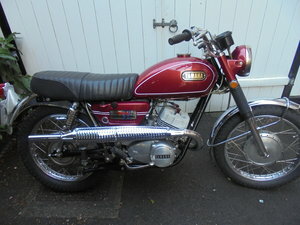 It has the correct 2R9 exhausts, barrels and carbs, everything was replaced or restored up to 2004 when I was showing it , it won Best in show at Lotherton Hall VJMC ( this was the biggest show of its type back then) won best 1970' bike at Stafford show and won a trophy at NEC same year, plus a few others since but I got bored showing. 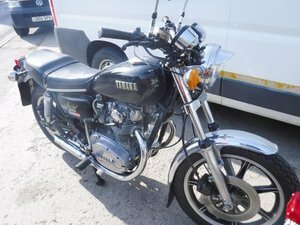 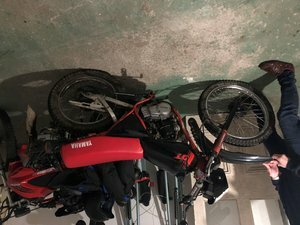 I decided to start using after this and covered around 6,000 miles on it until I bought other bikes and for the last few years I hardly used it , just used to MOT when I felt like it. 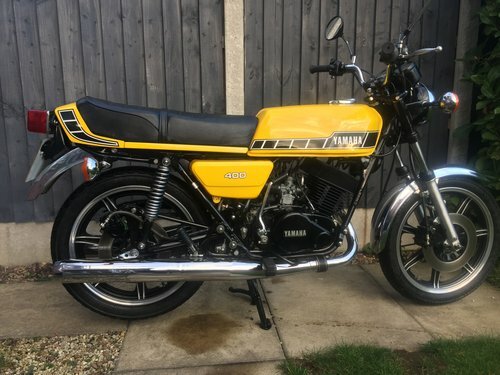 It's no longer a show winner but it is very very tidy and i always looked after it but it's just been sat in the corner of my garage too long so if it sells it sells if not I'll use it this year now I've dug it out and taken it for a little 8 mile run. 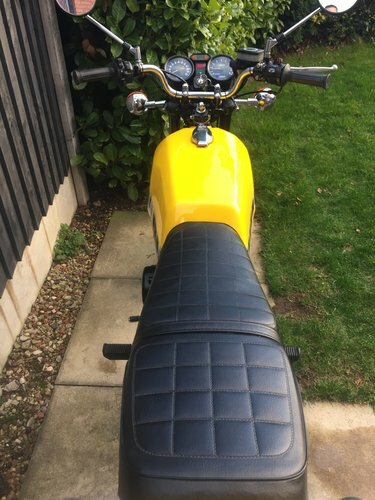 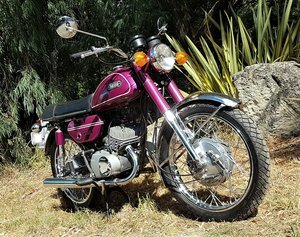 Ideally it could do with a once over to bleed brakes and maybe clean and set carbs but I've just taken it for a little ride and the more I used it the better it went , everything works and it shouldn't need anything for the MOT , might need tyres due to age.